We're also running a by-the-day April vacation camp. Congratulations to Dark Energy, our FIRST Lego League team! See the MetroWest Daily photo here. This year's theme was "Into Orbit: Living and Working in Space". Ekaterina, Neo, Jason, James, Tommy and Siddharth did and outstanding job at the competition in Marlboro on Dec 8. The team's robot came in 9th place out of 35 teams. Great job for a young rookie team! Their project, the Super Amazing Space Glove got high marks, but not enough to win the innovation prize, alas. They designed the glove with pressure sensors on the finger tips to help the astronauts "feel" things through the thick gloves. The signal from the sensors fed back to a microcontroller that then sent a signal to vibrators inside the fingers of the glove, letting the wearer know he or she was grasping something and how firmly it was held. Big thanks to Michael Bodnar, who worked long hours as second coach. His guidance and insight were crucial to team success. Also thank you to Riaz Ahmed for helping the kids with the electronics component of the Space Glove. We took part in this year's MIT Friday After Thanksgiving Chain Reaction Event with a glorious card roller-coaster! DI: Congratulations to our fabulous Destination Imagination team! They won 1st place in their category at the regional qualifier. They did very well at the State competition, though not well enough to go to Globals, alas. Awesome job everyone! S.E.T. 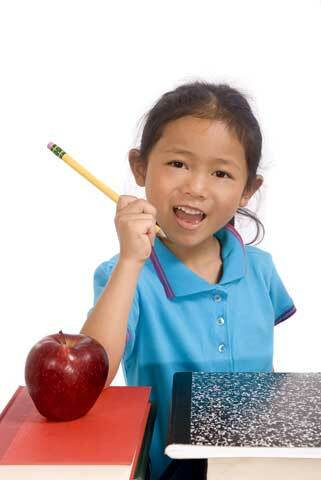 School is a Science, Engineering and Technology after-school enrichment program for children in grades 1 through 12. Our mission is to excite a love of learning through hands-on activities and stimulating challenges. We believe that children learn best when they are having fun! Homeschoolers! We offer day classes at our facility or yours. Science - From Atom to Universe! Children are natural scientists, seeking to make sense of a complex world. We present science in a broad holistic and humanistic manner, and encourage students to explore, ponder, research and discover the natural wonders around us. Science Grades K-2 (Fall, Spring): Science exploration activities develop a sense of wonder about the world and how it works. Students learn by hands-on work with living things, simple chemistry, fun physics and earth science. Science Grades 3-5 (Fall, Spring): Students learn about the processes, concepts and applications of science and engineering by doing hands-on projects, labs and experiments in chemistry, biology, physics, engineering and earth/space science. Some of the projects are drawn from the Science Olympiad Elementary Curriculum guide (http://soinc.org/sample_k6_events). Science Olympiad Grades 6+ (Fall, Spring):Science Olympiad is for middle school students who want an exciting challenge in science. Students choose from a variety of competitive events in biology, chemistry, earth/space science, physics and engineering. Class time focuses on preparing for the competition, but competing in the events is not mandatory; students interested in just enjoying the projects without competing are welcome to join the class. For more info, see the events at: Science Olympiad). Science Fair Prep Grades 4+ (Mid-Spring): Is your child nervous about doing a science fair project? Would you like them to learn how real science is done? SET School is running a short class on how to do a science fair project. We will do a series of short experiments to teach about the scientific method, including experimental design, hypothesis testing, materials and procedures, data collection and analysis, control and variables, and presentation of results. Students will learn that making mistakes is expected in science, and learning about the mistakes and asking questions moves science forward! Anatomy and Physiology Grades 5+ (Spring): Learn how organ systems work together and function inside the body. Students will dissect a sheep heart and fetal pig as part of the study. If there is time, we will examine and dissect other creatures like squids and frogs. Engineering - Think, Design and Build like an Engineer! Using the Lego Mindstorms Robotic System students learn programming and construction techniques to solve real world design problems. For additional challenge, younger students (grades 1-3) who take 2 semesters of robotics can join the Junior FIRST Lego League (FLL) team, while older students (grades 4-8) who have taken and mastered the FLL workshop class can join our FLL competition team! Action Contraptions Grades K-2 (Fall, Spring): Go beyond the brick! Students learn the FUN-dementals of physics and simple machines using Lego technic pieces and other construction materials to make things with joints, gears, wheels and arms that run by kinetic energy. Electric Mischief Grades K-2 (Spring only): What's a circuit? How does a motor work? What fun things can we make with wires, batteries, lights and motors? Want to know? Join us for some electrifying mischief! Electronics Lab Grades 4+ (Spring): Learn about how circuits, motors, and lights work by building your own devices. Students will also learn how to solder components to a printed circuit board and make electronic toys. Makerlab (Fall, Spring): Let's make stuff! We'll explore the engineering process using everyday materials, Legos, electronic kits and a variety of hand tools to design and build our own things. Robotics & Programming Grades 1-3 (Fall, Spring): Using the NXT programmable brick, students learn how to design and build Lego robots. Students use the Mindstorms programming language to control motors and sensors so that the robots can move and respond to their environment. Equal emphasis is placed on programming and robot design. Robotics Programming Grades 4-7 (Fall, Spring):With the Lego Mindstorm Robotics system students learn to program the EV3 robot to move (by controlling motors) and respond to the environment (using sensors). They also learn how to design a robot for different activities, like maze running, zombie hunting, sumo wrestling, mini-golf and Mars rover missions. FLL Workshop Grades 4-7 (Spring only): Using the EV3 programmable brick, students learn advanced construction and programming techniques to solve First Lego League style missions and challenges. This class is a prerequisite for joining the S.E.T. FLL team. Technology - Animate, Activate and Share! Our technology program provides children with foundation for today's most relevant skills. Web Design Grades 3-8 (Spring): Students learn HTML and build their own websites from the ground up with just a simple text editor and their own typed directions. They usually have something to post online by the end of the first class, and go on to learn more advanced techniques to polish it until it sparkles (sometimes literally). Animation Grades 3-8 (Fall, Spring): How can a blob of clay come to life and start dancing? How can different camera angles make a car look like it's flying? Learn about stop motion and other film techniques, plus the neuroscience behind special effects. Minecraft with Python Programming Grades 3-8 (Fall): Take your game to the next level when you uncover the coding behind Minecraft. Learn how to use a Raspberry Pi and Python code to take control of your game! Python Programming Grades 5+ (Spring): Learn the basics of programming using Python. What is syntax? What do operations do? How does a subroutine work? What are variables? Learn all this and more! Intermediate Python Programming Grades 6+ (Spring): Improve your Python coding skills. This application based.class is designed for students with some Python programming experience. Build a PC with Raspberry Pi (Mid-Spring): The Raspberry Pi is awesome! Learn to program this nifty little computer and how to use it to control peripherals. You will learn how a computer actually works (operating system, inputs, outputs, etc. ), do some electronics GPIO circuits. In addition, learn to program using Scratch and Python. This is for the serious student! Mini-course offered 9 weeks. Cost includes a Raspberry Pi to keep. At S.E.T., we believe it's important for children to be well-rounded. Geometry Jam and Fraction Fun Grades 1-3 (Fall, Spring): Explore the world of geometry, symmetry, ratios, and the elegant beauty of math using fun hands-on activities with Montessori designed materials. Public Speaking and Debate Grades 4+ (Fall, Spring): Learn how to write a persuasive speech and design an effective Powerpoint slideshow. Find out why proper elocution and stance matter during a presentation. Practice your new public speaking skills as you learn to debate and defend your position. Creative Writing Grades 3+ (Fall, Spring): Everyone tells stories, but it takes extra effort and practice to tell amazing ones. This class will cover everything from narrative structure to grammar as well as reasoning skills and essays. Dungeon Quest Grades 4-8 (Fall, Spring): An earthquake uncovers an entrance to a strange underground city. A shipwreck has left you marooned on an unknown island dominated by a huge, vine-covered temple. A fabled object of mystical power is rumored to lie in ancient ruins, but no explorers have ever returned despite many attempts. Solve puzzles, follow clues, map your surroundings, negotiate with humans and nonhumans, learn the biology of strange organisms, and find treasure. Success can be yours! Destination Imagination Grades K-5, 6-9 (Fall only): Students participate in fun, challenging projects and team-building activities as they train for the many exciting challenges of the Destination Imagination competition.